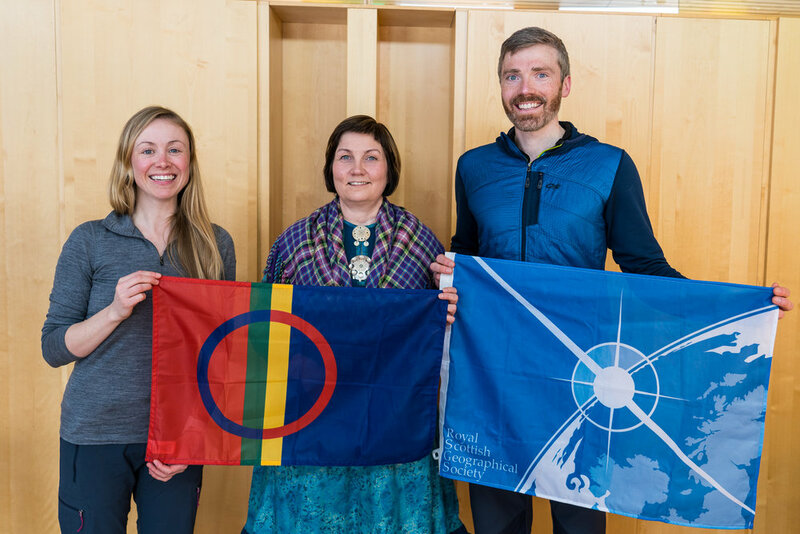 9th April - Hazel and Luke had the privilege to interview Ms. Aili Keskitalo, President of the Sámi Parliament in Norway, about how climate change and industrialisation of the Arctic is affecting the Sámi people that live here. It was a very moving interview as she spoke to us in her third language (after Sámi and Norwegian) and this interview will form a key part of the documentary. 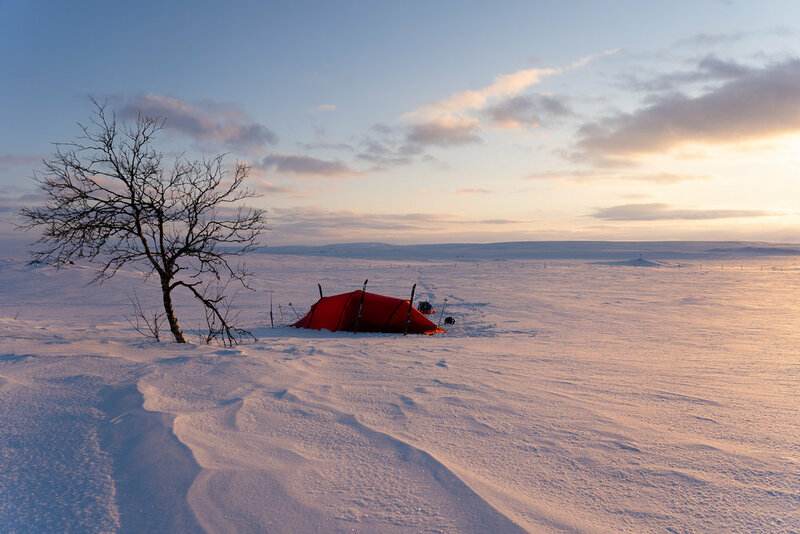 6th April - Hazel and Luke arrived safely in Karasjok (or Kárášjohka in Northern Sámi) after five days of skiing around 100 km and hauling 50 kg pulks across the frozen lakes and rolling hills of the Finnmark Plateau, with temperatures plummeting to around -20°C overnight. They skied the final 16 km along the frozen Karasjohka River that winds its way into the town. 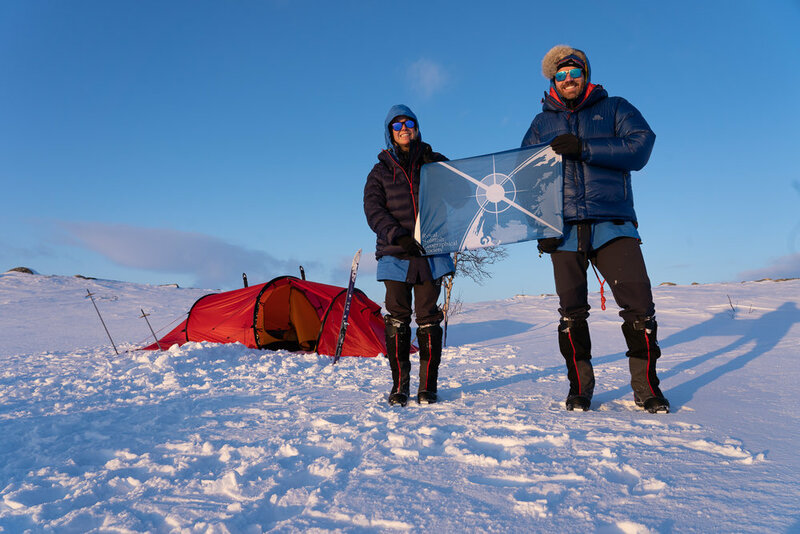 Hazel and Luke, Explorers in Residence for the Royal Scottish Geographical Society, are currently undertaking a four-week ski expedition, in Sápmi, high above the Arctic circle in the Finnmark area of northern Norway. 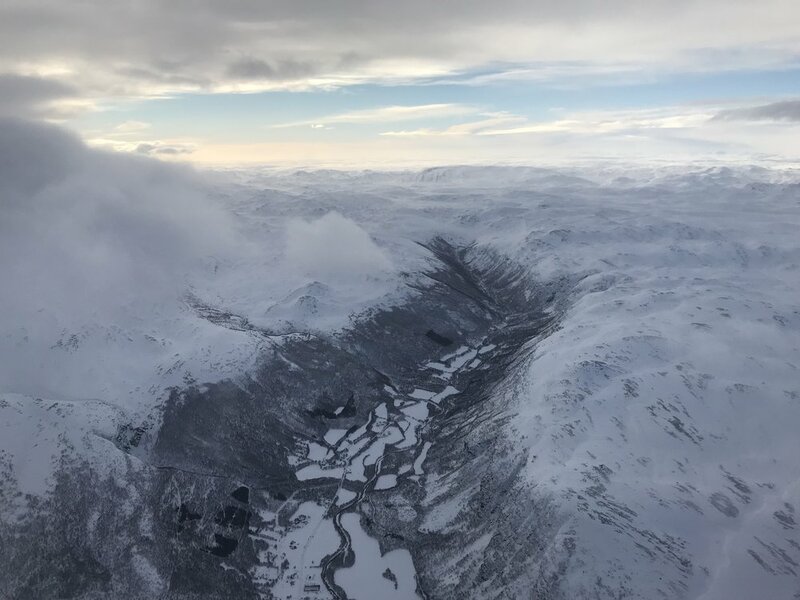 Through Arctic Connections, Hazel and Luke are seeking to understand the impact that climate breakdown and industrial development is having in this region of the Arctic, by focusing on the complex array of opportunities and challenges these issues bring. They’re doing this by interviewing members of the indigenous Sámi community, including the President of the Sámi Parliament in Norway, Ms. Aili Keskitalo, and others, to better understand the challenges and pressures that the people, and in particular the ancient practice of reindeer husbandry, face. Northern lights over our base in Karasjok. These interviews, as well as the ski expedition itself will form the basis for a documentary film to help diffuse knowledge, experiences and stories from this Arctic region with others. The annual spring migration of Arctic reindeer from feeding grounds in South Finnmark to birthing grounds in the northern tip of Scandinavia is one of nature’s greatest events. Many of the Sámi people are reliant on the reindeer for the existence of their culture - but this is under threat. ‘Arctic Connections’ will tell this story of endurance, resilience and respect - and a unique symbiotic relationship. 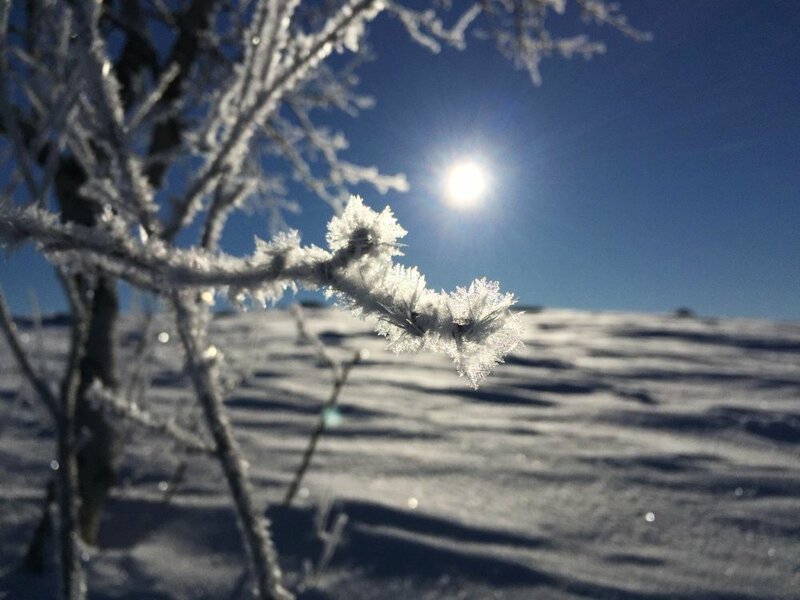 Arctic Connections will also include a long distance ski expedition, including Alta to Karasjok. 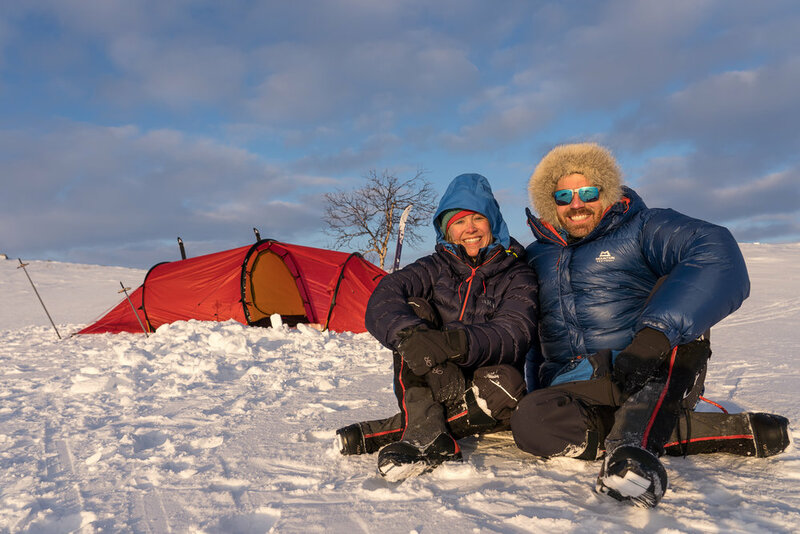 By doing so, Hazel and Luke will be undertaking an endurance expedition of their own; with daily lives stripped back to basics, they’ll make their own connection with the natural world as they cross the Finnmarksvidda - Norway’s largest plateau - which covers 36% of the broader Finnmark region. When travelling long distances on these frozen expanses, success is dependent on shared goals. This will be true as much for Hazel and Luke, as for the Sámi, and their reindeer. As well as the tracking map above, you can track the expedition on social media by following Hazel and Luke on Instagram, Facebook and Twitter - by using the links at the bottom of this page. We are hugely grateful for the support we’ve received from the Arctic Connections Expedition partners, below. We hope you enjoy following this expedition as much as we have enjoyed planning it and thanks for showing an interest in Arctic Connections. Hazel and Luke are honoured and humbled to be Explorers in Residence for the Royal Scottish Geographical Society. The society is one the UK’s most dynamic small charities, which aims to advance the subject of geography (in its widest sense) worldwide, inspire people to learn more about the world around them and provide a source of reliable and impartial geographical information. Hazel and Luke regularly provide talks, expedition training and blogs for the society. The RSGS has an incredibly rich history of association with many of the most influential names in exploration of the last 150 years. It was founded by David Livingstone’s daughter, Agnes, Ernest Shackleton worked for the society and William Speirs Bruce, who was a council member, led the first Scottish Antarctic expedition in 1902. Click here to find out more about joining! Hazel and Luke are both members of the Scottish Arctic Club and are extremely grateful to be supported by them for this expedition. The Club contains a group of enthusiasts with a common interest in the Arctic and was founded in 1970. The main activities of the Club are the Annual Gathering and Supper, the Spring Meet, the Award of Expedition Grants and the distribution of three Newsletters each year. The club wishes to encourage younger members, and in 1995 it set up an Expedition Fund to provide grants to young people wishing to travel in the Arctic. Hazel and Luke will be speaking about their expedition at the 2019 Annual Gathering and Supper. 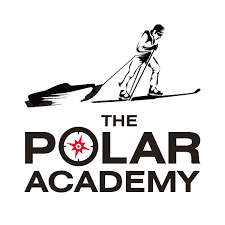 Hazel and Luke are Ambassadors for the Polar Academy, which identifies ‘invisible’ 14-17 years old secondary school children, crushed by a lack of self-esteem and gives them the chance to redefine their physical and mental limits. Participants are put through a rigorous ten-month training programme before being immersed in the wilds of Greenland, navigating through some of the world’s remotest terrain for ten days. Their confidence soars with every step. On their return to Scotland, each pupil shares their experiences with their peer groups, speaking to more than 20,000 school children in their region. The Polar Academy has been very generous in their support of this expedition through lending of equipment. Luke and Hazel have used TentMeals on expeditions ever since they discovered them in 2016. Delicious, vegan, lightweight, nutritious and with minimal packaging, these high energy expedition foods are designed for ultimate endurance and recovery and will be fuelling them in the Arctic again this year. Click here to see some of the meals! Each bag is packed with wholesome, healthy ingredients, and is seasoned with a delicious blend of natural herbs and spices. To up the calorie count, they avoid pouring oil into the meals and instead use a healthy mix of nuts, seeds and coconut products. and for complex carbs, use either rice, couscous or oats. Hazel and Luke are delighted and hugely appreciative of support for this expedition from the Arctic Club, through the Gino Watkins Memorial Fund, under the joint trusteeship of the University of Cambridge (through the Scott Polar Research Institute) and the Royal Geographical Society. The Fund gives grants towards expeditions that meet its objectives of guiding and inspiring enterprising young people towards scientific research and exploration in the polar regions. The Fund endeavours to increase our knowledge of one of the least known, but most important parts, of our planet, and also to stimulate the lasting qualities of enterprise, endurance and leadership gained in this uniquely arduous environment. The Fund was set up in 1933 in the memory of Henry George ("Gino") Watkins who had drowned, whilst kayaking, off the coast of East Greenland the previous summer. Its purpose is to inspire and guide enterprising, particularly young, people towards exploration and research in the polar regions. 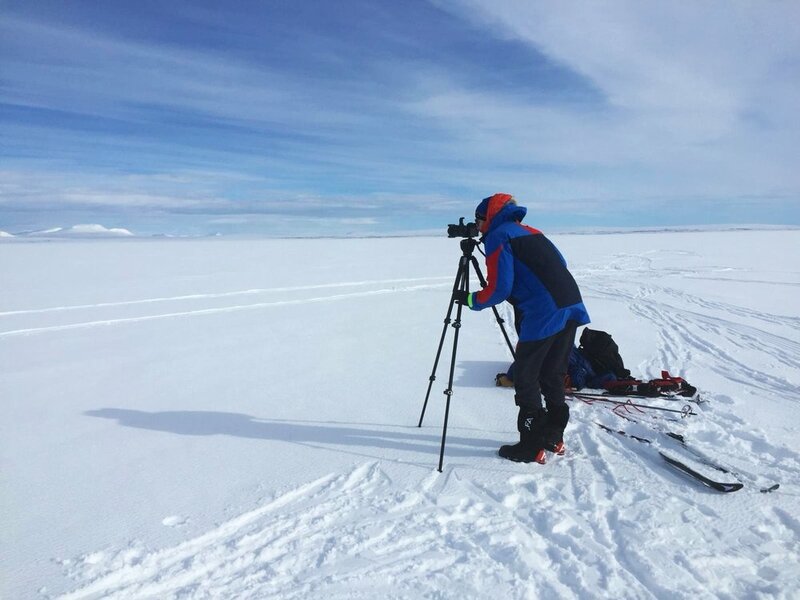 Arctic Connections is helping a research study related to psychology in challenging and demanding expedition environments. A team from Aberdeen University and Manchester University will will be analysing Hazel and Luke’s progress daily throughout their expedition and following their responses to the various physical and psychological challenges their environment will present. This research aims to help recognise the potential impact of psychological challenges to further develop support in maintaining wellbeing of people working or travelling in environmental extremes.